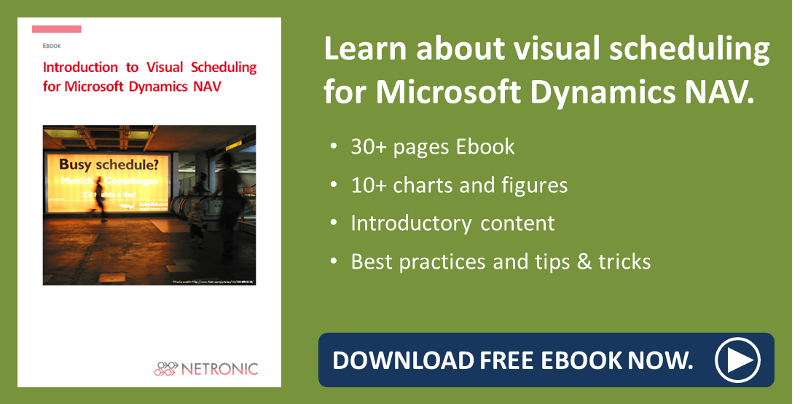 Besides being a proven tool for simplifying project management by comprehensive functions for resource and capacity planning, Microsoft Dynamic NAV as well offers detailed project tracking for complete overview of current and planned projects. There are lots of evaluation features providing reliable information at every stage of a project thus letting the planner make well-founded decisions. And great as these lots of evaluation features may be, sometimes they lead to missing the woods for the trees - and here is where the VJS comes in: By providing quick visual overview of information that otherwise has to be reached by opening lots and lots of NAV cards. Or worse - isn't provided at all. Job Task No. 110 - there are no discrepancies between scheduled and actual usage but you can't see whether the usage was booked at the right time. Job Task No. 112 - why have only 2 hours been booked for Mary? Most likely, the job is not completed, but you don't see that here. Job Task No. 1130 - why has this job taken more time than scheduled? The Visual Jobs Scheduler offers help in providing all the details needed for analyzing discrepancies between scheduled and used quantities or a posting date being later than the calculated end date by indicating them by colors and symbols. So the planner can see the point where things threaten to get out of hand and react immediately by assigning more/other resources or demand overtime, for instance. Discrepancies between scheduled and actual usage are indicated in the VJS by according symbols or visual alerts on the basis of resources and the quantities they need for finishing certain tasks. The task is finished using hours as scheduled and the posting date is earlier than the calculated end date. The task is finished using hours as scheduled but the posting date is later than the calculated end date. The task is finished using less hours than scheduled but the posting date is later than the calculated end date. The task is finished using less hours than scheduled and the posting date is the same as the calculated end date. By clicking the according icons, you can hide or show the postings. For the sake of an even better overview we have provided a view that directly draws the planner's attention to the posting problems as described above. This new view is in fact a collapsed Job View that only shows posting problems like described above. We have added a new icon for quickly and comfortably switching to this View. 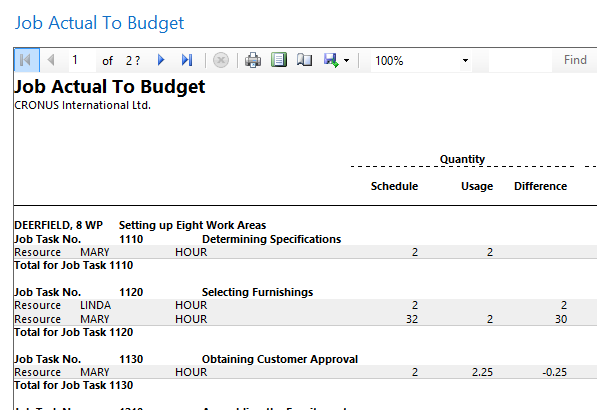 Want to know how to ease Project Planning in Dynamics NAV by Hiding Empty Tasks?